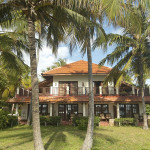 Travelling in Madagascar is an adventure, particularly with so many places being unexplored and off the beaten track. Isolated for 65 million years Madagascar is the oldest island in the world, and with this isolation comes a unique natural history. The diverse habitat of rain forest, desert, mountains and mangroves is ideal for tailor made holidays as it is home to over 200,000 species, 80% of which only exist in Madagascar, amongst them the famous lemurs. Madagascar is 2.5 times the size of the UK and is the worlds 4th largest island measuring 1580 Kms long and 580 Kms wide. The people in Madagascar are equally as varied and diverse, having come from two continents, Indonesia and Africa over the past 2000 years and the different cultural background can easily be observed to this day. However, what makes Malagasy people so varied and attractive in appearance is the mix of races, including Arabian influences which came at a later stage. This incredible diversity is what makes the Malagasy peoples’ beliefs and customs so wonderfully complicated and fascinating. 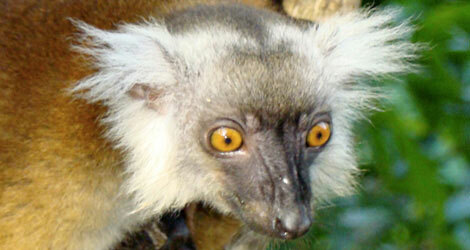 Travelling in Madagascar is an adventure, particularly with so many places being unexplored and off the beaten track. Perfect for wildlife and beach combinations. Discovering Madagascar is one of the most rewarding travel experiences, the stunning and varied scenery, the extraordinary wildlife and the friendly welcoming people all make for an unforgettable holiday combining wildlife and beach experiences. Visit this unique island soon for a tailor made Madagascan wildlife and beach holiday, before too many others discover its magic. As always we will be delighted to assist in planning a trip to Madagascar so please call us on +44 1797867750 for first hand advise. Antananarivo is Madagascar’s capital and was built on a rocky ridge surrounded by 12 sacred hills. It became the centre of the Merina Kingdom in the 16th century with the royal palace (Rova) built on the highest point which remains to this day. The Royal family are gone as are French Colonialism and Communism leaving an unstable political climate. The name Antananarivo means ‘City of the Thousand’, after the number of soldiers protecting it during King Adrianjaja’s reign. Today Antananarivo is commonly known by its shortened name ‘Tana’. Tana is quite an attractive city, with its colourful houses, cobbled streets and French influences on lifestyle and language. It is surrounded by rice fields and white concrete Merina tombs that are dotted around the empty countryside. There is much to see in the town itself as well as the surrounding area including the Queens House, Presidential Palace viewpoints, La Gare (now a terrific restaurant) and central markets. 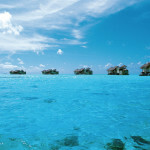 There are some good restaurants and a few comfortable hotels. There are a number of cultural, historical and natural sites within a day’s excursion from Tana, so it is worth spending a couple of nights in the capital – if you have time. 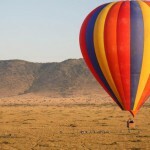 In fact as Tana is the flight hub for the entire country it is likely that you will need to spend at least a couple of night in transit in town. Nosy Be means ‘big island’ and it is the most popular holiday spot in Madagascar for combining wildlife and beach holidays. It developed tourism long before the mainland so is a little spoilt in places. But away from the less pleasant honey-pots, it is the perfect area for a Madagascan beach and wildlife holiday with an almost perfect climate, offering sun, sea and sand as well as lemurs, chameleons and birdlife. Exotic scents such as ylangylang and vanilla are in the air, there are local markets selling spices and local handicrafts. Nosy Be, and especially its surrounding small islands such as Nosy Komba and the Mitsio Archipelago have several options for luxury Madagascan beach holiday accommodation (see our Hotel Directory above), which is not always easy to find in the rest of Madagascar. The diving around these smaller islands is considered to be amongst the best in Madagascar, especially at Nosy Tanikely which is a marine reserve. The island of Nosy Komba’s main attraction is the black lemur and a trip here is well worth it for a combination wildlife and beach holiday. Montagne d’Ambre National Park (Amber Mountain) is about 40 km south of Antisranana (Diego Suarez) virtually the northern point of the island and covers 18,500 ha of protected rain forest area. 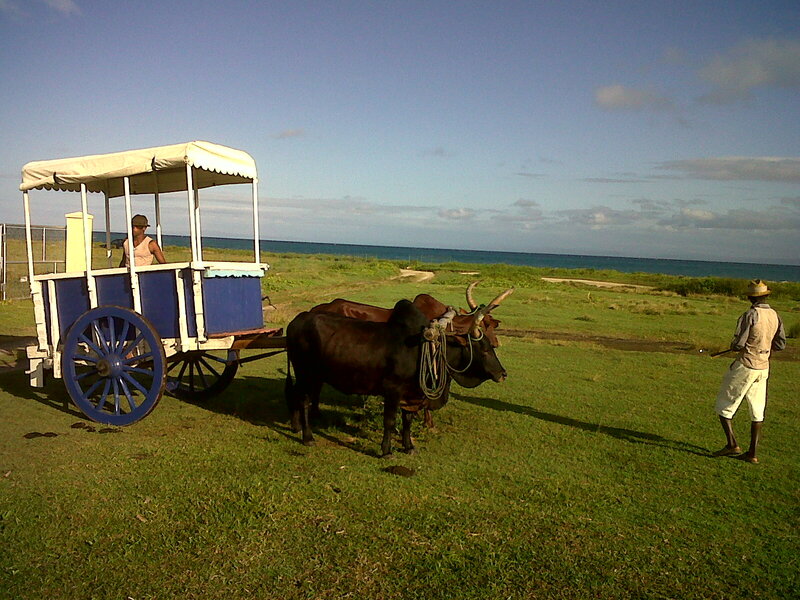 The park is reached by a 7 km almost impassable dirt track from the small colonial town of Joffreville. The climate is always cool and fresh and the park is particularly known for its bird’s nest ferns, tree ferns, orchids and the rare rainforest baobab. The park has approximately 30 km of walking trails which are ideal for a wildlife holiday and can offer close encounters with many species of small creatures such as chameleons, snakes (none are poisonous), frogs and geckos. There are a number of different species of lemurs in the park, including the Crowned and Sanfords lemurs as well as the nocturnal Amber Mountain Forked lemur and the park is the best place to see the diurnal ringtail mongoose. Ankarana covers an area of 18,220 ha and is one of the most popular wildlife holiday reserves. It features a most fascinating landscape of ‘tsingy’ (limestone karst pinnacles) and forest with numerous underground caves and rivers which are home to crocodiles and bats. The reserve is also known for its many lemur species, including the Crowned and Sanford’s lemurs and it is a great place to see birds, reptiles and insects. Antsiranana is Madagascar’s fifth largest town and the capital of its northernmost province. 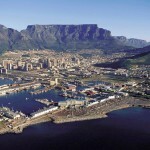 It has a beautiful deep-water harbour encircled by hills and its own sugarloaf mountain in one of the bays. The town played an important role during World War II when Madagascar was under the control of the Vichy French. In 1942 it was captured and occupied by the British and Allied forces and there is a British Cemetery in the centre of town. Often just used as a gateway to Ankarana Reserve and Montagne d’Ambre National Park, Antsiranana itself is definitely worth a visit. Its charming colonial architecture, the vibrant local market and lots of small stores as well as its cosmopolitan population will make a visit to this town an enjoyable and atmospheric experience. The Montagne de Francaisoffers great views and the three bays Baie des Dunes, Baie de Sakalava and Baie des Pigeons should also not be missed out. Ranomafana National Park is located in south eastern Madagascar and consists of mountainous rainforest including lowland rainforest, cloud forest and high plateau forest due to its varying altitude, as well as numerous small streams and waterfalls. The park is one of Madagascar’s richest in terms of wildlife and one can find 12 species of lemur here, amongst them the rare Greater Bamboo and Golden Bamboo lemurs. There are more than a 100 bird species, 36 of which are endemic, many reptiles, such as the Leaf-tailed gecko or the Fringed gecko, as well as butterflies and insects. Madagascar’s second highest peak at 2,658m, Pic d’Imarivolanitra (‘close to the sky’), formerly named Pic Boby, is surrounded by Andringitra National Park which was created in 1999. The main attraction here is the extraordinary landscape, its vegetations and the trekking. There are four main trekking circuits in the park, ranging from 4 hours to 2-7 days. Each circuit covers different terrain; forest, granite peaks and escarpments and the frosty peak of Pic d’Imarivolanitra. Isalo National Park, one of Madagascar’s most visited wildlife parks, offers spectacular scenery such as the golden sandstone cliffs and jagged rock formations, which hide away a number of lush canyons, small streams and waterfalls. There are some rare endemic plants such as the elephant’s foot clinging to the rocks and a native species of aloe. 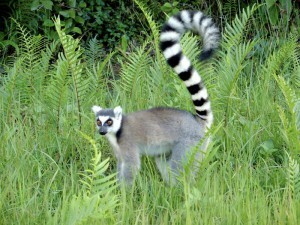 The wildlife includes sifakas, brown lemurs and ring-tail lemurs as well as a good number of reptiles, frogs and birds. Isalo is also sacred to the Bara tribe who, for hundreds of years, have used caves in the canyon walls as burial sites. There are a great many trails exploring the varied terrain, but for those who do not wish to hike with a guide there are options too such as La Fenetre, a natural rock formation providing a window through which to watch the sun setting. Berenty is Madgascar’s best known nature reserve, due to its excellent wildlife viewing opportunities. It is located on the banks of the Mandrare River and therefore, despite being in the arid south, encompasses gallery or riverine forest, a perfect habitat for the large variety of animals that live here. 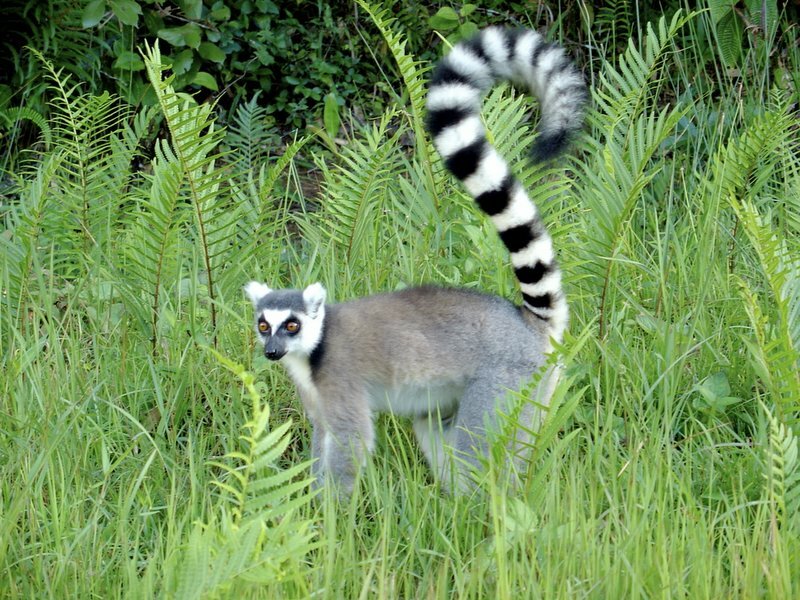 Ringtail lemurs and dancing Verreaux sifakas can frequently be seen during the day and, a little harder to spot, at night the Grey mouse lemur and the White-footed sportive lemurs make an appearance. Birdwatching is excellent and nearly 100 species have been recorded, many of them unique to Madagascar, amongst them the crested coua and the giant coua with their dramatic blue face markings. There are a number of broad forest trails which allow walking without a guide. Only 145 km east of Tana, famous for its habituated Indri, Andasibe-Mantadia National Park is Madagascar’s most visited and most accessible park for a wildlife holiday. The park was formed in 1990 when Analamazaotra, better known by its French name Perinet, was combined with Mantadia 20 km to the north. In Andasibe the Indri is the largest of the lemurs, standing about a metre high. The long legs are extremely powerful and allow it to jump 10 m from tree to tree. It is not just its size but also its voice that makes this lemur stand out – it makes eerie, wailing sounds which can be heard up to 3 km away. There are 11 species of lemur in total in the park, plenty of insects and spiders and tenrecs can be found too, reptiles are a little rarer though if you are lucky you will spot the Parson’s chameleon – one of the largest in the world. It is also a great reserve for birdwatching. Mantadia is a little harder to explore. The trails are not as carefully constructed as they are in Andasibe instead they are rugged and much harder work. Mantadia varies more in altitude and still comprises virtually untouched primary forest and therefore has more species than its neighbour. This is Madagascar’s largest National Park for wildlife and beach, but it is also the least visited as getting to it is not easy and involves a 2 hour boat ride from Maroantsetra. Once there the rewards are great – large expanses of virgin rainforest, in some places stretching all the way down to the Bay of Antogil with its stunning golden beaches, where Humpback whales can be seen between June and September when they come to give birth or mate. The rest of the wildlife is equally amazing – there are 10 species of lemurs, including the Red-ruffed lemur which can only be found here. Of the large number of reptiles the most commonly seen are the Panther chameleon, the Hooded chameleon and various species of Stumptailed chameleons. Frogs are abundant too, including the Tomato frog and the Greenbacked mantilla. For birders the park is a paradise and rare endemic species like the Madagascar serpent eagle and the Madagascar red owl can be found here. Surprisingly unspoilt by tourism Ile Sainte Marie (Nosy Boraha) is a small tropical island (about 60 km long and 5 km wide) off the east coast of Madagascar ideal for a wildlife and beach holiday. It is a real tropical paradise, with miles of sandy beaches shaded by coconut palms, small bays and coves protected by coral reefs, traditional fishing villages and lush vegetation. From 1685 the island was a major hideout for pirates in the Indian Ocean and legendary pirates such as Thomas White, William Kidd, Thomas Tew and David Williams plundered the ships in the seas around Africa. The Pirates Cemetery at Baie de Forbans is well worth a visit but take sensible shoes as you have to cross a very wobbly stone causway and some mossie reppelant would also be a good idea. It’s that sort of place. Ile Sainte Marie, or more accurately the channel between the island and the mainland is also the best place for whale watching, where during July – September large groups of humpback whales come to calve and nurse their young. Madagascar has a complicated climate, however here is some general advice and notes on regional weather variations and the best time to travel. Tana (central highlands). Best in September October and March April. It is dry and cool in May, June and July. Rains should arrive in November, but have been as late as January recently. 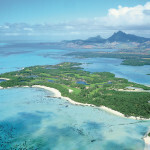 East Coast – including Isle St Marie – best October/November and March to mid June. Night rain December and January, Cyclone in February. Rain in July and August but this is the best time for seeing the Humpback Whales who breed and calf off the island. 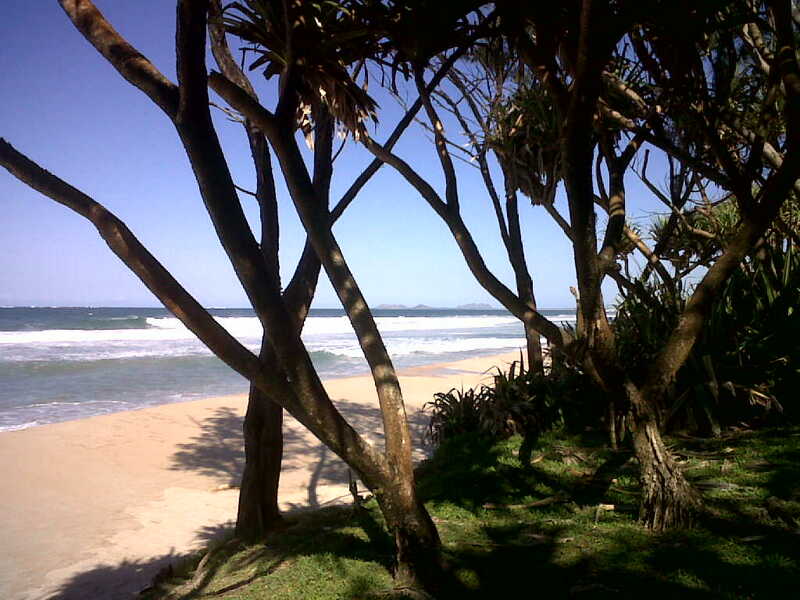 Coast – best April/May and Sep/Oct. Slightly windy in June and July. Cyclones can be about in February but are generallly not too bad. Tropical rain showers come in late November to January. Best whale watching time is from July to November. Christmas is hot with occasional tropical showers on the coast but dry in land. Best May,June, July and Aug. This area to the west of the mountain ranges is a more all round destination as it recieves only only 20% of rain fall of the South (above) and mostly in January, Febuary and March. It is very hot from November to February. Best September to November and May to August. The tropical rains are from December to April. Always go prepared to get wet if you are vistiting a rain forest no matter what time of year as they have there own micro climates. Best from April to November but this is a gentle tropical climate and genaraly generally warm to hot even in the rains which come from January to March. Issued on arrival – assuming you are staying for less than 3 weeks as a tourist and that you hold a UK or EU passport. Yellow Fever certificate required if arriving from an endemic area eg: via Kenya. Madagascar has malaria throughout and you should seek advise on suitable prophelatics from your GP.